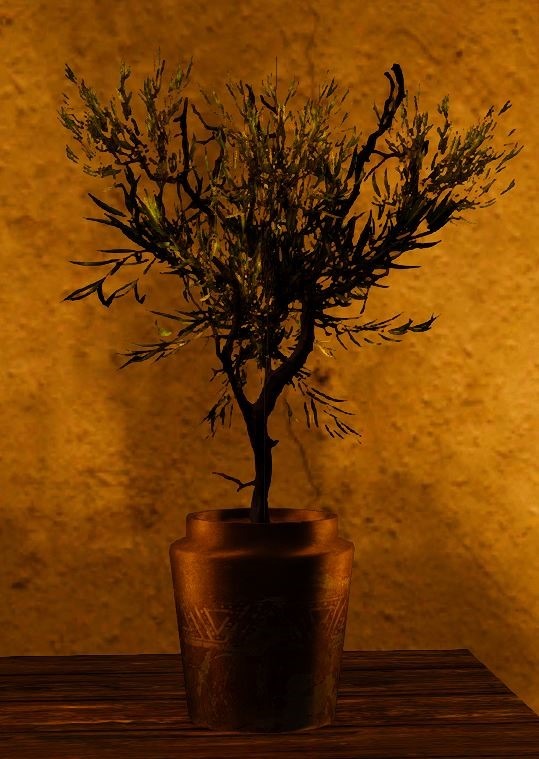 A small plant pot with olives. It gained its popularity as an exotic plant, but it is hard to grow it inside because it needs a lot of strong sunlight. To acquire plant a Bumpy Seed sold by seed vendors. The item gives +20 interior points.